Microbiological health of soil has emerged over the last decade as a critical part of the knowledge base for successful crop and pasture production. A key component of biology is the profound plant / mycorrhizal fungi relationship which has enormous potential for improved management of contemporary farming systems. In the first of seven article about the role mycorrhizae play in achieving successful crop and pasture production, US expert Dr Michael Amaranthus explains these fungi are not ‘new’. The fossil evidence indicates that the specialized “mycorrhiza” [ (mī’kə-rī’zə) literally meaning “fungus-root”] plant relationship dates back over 460 million years and actually played a key role in allowing plants to utilize terrestrial habitats. Without mycorrhizal fungi, crop plants might not exist, unless you are farming seaweed! For the first 75 million years that plants colonized dry land, they did not have differentiated root tissue at all and depended entirely on this symbiotic relationship with mycorrhizal fungi to access nutrients and moisture from the various and often harsh terrestrial environments. The root structures of plants actually evolved specifically as specialized attachment sites to better accommodate these fungi and the efficiencies available through the symbiotic “trading” of water and nutrients for sugars produced by photosynthesis. In this symbiosis, the plant is provided better access and uptake of nutrients and water from the soil. In return, the fungus, which cannot synthesize it own nourishment, receives its sole sustenance in the form of carbohydrates donated by the plant. This highly successful system continues in most plant species today. Agricultural science has only in the last decade begun to recognize the importance of mycorrhizae fungi in farming ecosystems. Since World War Two, scientific and technological advances in agronomy have focused primarily on the development of chemical and mechanical approaches to improving crop plant performance. Nutrient needs have been addressed using synthetic fertilizers; weed suppression accomplished by tillage and herbicides, and plant diseases controlled using an array of chemical pesticides. More recently, modern science has begun to understand that in natural habitats, plant roots are a complex mixture of both fungi and plant organisms that is fundamental to life on the planet. Approximately nine out of every 10 terrestrial plant species in the world, including most crop plants, form an association with these specialized mycorrhizal soil fungi in order to thrive. Among the few but notable exceptions are members of the Brassicae plant family (cabbage, broccoli, cauliflower, radish, turnips, canola, etc., the Amaranthaceae plant family (beets, spinach, chard, etc.) and the Polygonaceae plant family (rhubarb, buckwheat.) Virtually all other crop plants worldwide are meant to host a mycorrhizal association. The body of the mycorrhizal fungus consists of microscopic filaments called hyphae. Individual hyphae are approximately 1/25th the diameter of a human hair and typically grow up to 40 – 60 centimeters in length. These strands grow from within the root cells of the host plant, spreading out into the surrounding soil, greatly increasing the surface area of the root system. 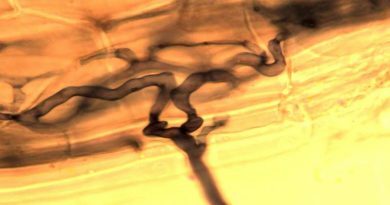 The most widespread type of mycorrhizal relationships are known as arbuscular mycorrhizae (also commonly referred to as “AM,” “VAM“or “endo mycorrhizae.”). Most agricultural plants, including grains, vegetables, fruit and nut trees, vines and turf grasses evolved with, and are naturally “designed” to achieve optimum growth and vigor by forming these fungal relationships. This plant-fungus association can deliver significant benefits in agricultural operations. 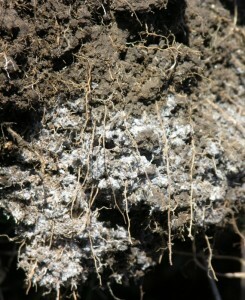 The effect on the root system of a mycorrhizal-colonized plant is dramatic. 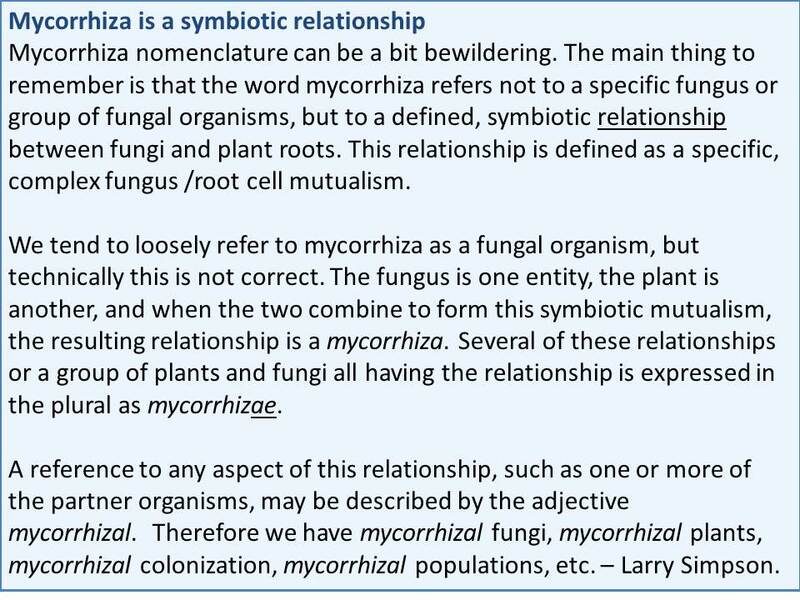 Under this relationship, most of the absorbing area of the root system is actually fungal hyphae. Hyphae are far thinner than roots or root hairs and are able to penetrate the tiniest pores and fissures in the soil. The numbers of hyphae on a root system can be prodigious. Just a teaspoon of healthy soil can contain up to several miles of fungal hyphae! The resulting nutrient and water uptake efficiency of crop plants is increased considerably. Agricultural soil often contains abundant nutrients but the availability of these nutrients to the crops themselves may be limited. Research confirms that mycorrhizae are particularly important in mobilizing phosphorus, nitrogen, zinc, iron, calcium, magnesium, manganese, sulfur and other tightly bound soil nutrients by enzymatic release from recalcitrant chemical bonds and transporting them back to the plant. Crop plant uptake and utilization of fertilizer inputs likewise becomes far more efficient, often leading to significant savings in fertilizer costs. But mycorrhizal benefits do not stop there. These fungi also play a definitive role in a plant’s natural defense against fungal root diseases such as phytophthora, fusarium, phythium and rhizoctonia. Mycorrhizal fungi produce and release suppressive exudates such as antibiotics that inhibit infection by these and other fungal root pathogens. Studies have documented that mycorrhizae also defends root systems by forming a physical barrier to deter invasion by soil pathogens. This barrier is made of Chitin (the same tough material as in insect shells,) forming a tough, protective layer over the outside of root cells. No one understands better than farmers that agriculture’s need for fresh water is not always in sync with Nature’s propensity to provide it. We often see abundant, verdant vegetation in natural and wild systems without the benefit of irrigation. How do natural areas provide for such luxuriant plant growth without irrigation? One key factor is the mycorrhizal threads attached to plant roots which so thoroughly scour the soil for available resources. They absorb water during periods of adequate soil moisture, then retain and slowly release it to the plant during periods of drought. Plant systems in natural areas generally achieve levels of drought tolerance far exceeding those found in agriculture partly due to the enormous web of mycorrhizal hyphae which act like a giant sponge to protect the plant communities from extreme soil moisture deficits. The mycorrhizal filaments can penetrate into the smallest of soil pores and fissures to access microscopic sources of water that are unavailable to the thicker roots. An extensive body of research documents the importance of the mycorrhizal relationship for efficient water use and drought protection among a wide array of important crop species. The declining availability of water and its ever-increasing cost are formidable issues facing today’s farmer and mycorrhizal fungi can be a powerful tool to enhance water-use efficiencies. Does my farmland have mycorrhizae? 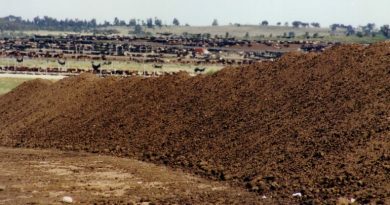 Certain modern agricultural practices are known to suppress the biological activity in soils. 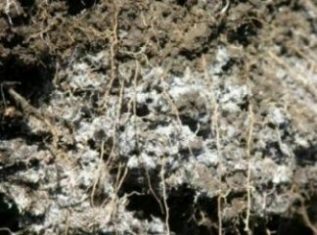 Fungicides, chemical fertilizers, cultivation, compaction, soil erosion and periods of fallow are all factors that can contribute adversely to populations of beneficial mycorrhizal fungi. Soil testing worldwide indicates that many intensively managed crop and pasture paddocks lack adequate populations of mycorrhizal fungi. 1. Fallow soil is first and foremost among causes for the demise of mycorrhizae. The fungi are completely dependent on their host plants for sustenance and cannot survive for any extended duration without the presence of living roots. Of course, tilling, though not necessarily lethal to mycorrhizae by itself, generally leads to a fallow condition which, in turn, eliminates the fungi. Therefore, even no-till practices may not necessarily preserve mycorrhizae either. 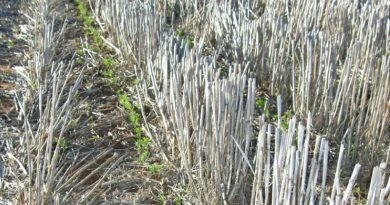 When annual crops are harvested, the roots soon die and any mycorrhizal fungi die with them unless new living roots are introduced in the form of another crop within several weeks- a relatively rare sequence in the world of production agriculture (pasture-cropping on native pastures in New South Wales is the exception). One might think that the spores left in the soil would regenerate the mycorrhizal population in new crops planted even after an absence of living roots and hyphae. However, after repeated cycles that include regular intervals of fallow, the spores eventually expire and are not sufficiently replaced by the gradually diminishing mycorrhizal populations until they too have essentially disappeared. 2. The other critical situation that eventually eliminates mycorrhizal populations from many farm soils is lack of proximity to natural populations from which new colonization usually spreads. The crop plants become isolated from the beneficial mycorrhizal fungi that would, in natural ecosystems, be abundantly available to spread colonization to their roots. Without adjacency to natural areas acting as a source of mycorrhizal hyphae and spores to re-populate depleted lands, arbuscular mycorrhizal populations are very slow to re-establish. Since arbuscular mycorrhizal fungi do not disperse spores via wind or water, but rather grow from root to root, re-colonization across long distances back into farm soil from undisturbed natural sites such as perennial pastures becomes slow and difficult. Unfortunately, growing crops immediately adjacent to undisturbed natural ecosystems is not always an option in modern agriculture. The benefits mycorrhizae bring to crops. Dr Michael Amaranthus is a scientific paper published soil microbiologist; co-writers are Larry Simpson, director of education and training, Mycorrhizal Applications, Inc, Grants Pass, Oregon US larry@mycorrhizae.com; www.mycorrhizae.com; and Dr Nick Malajczuk, director of MAI (Australia) Pty Ltd Bunbury WA, nick@maiaustralia.com.au . Copyrite.